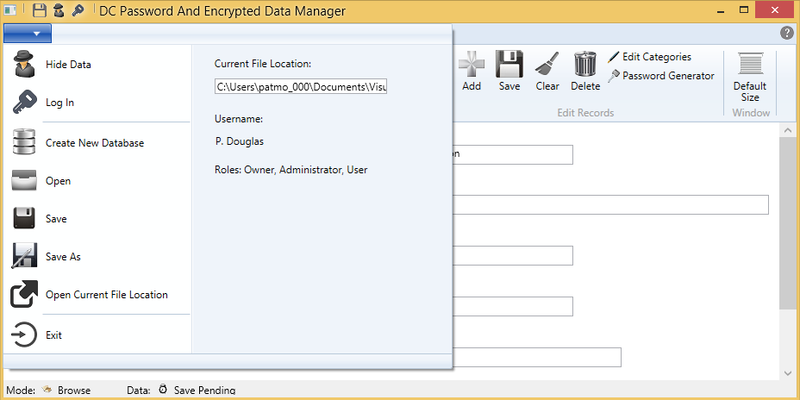 DC Password And Encrypted Data Manager Doc - Changing Password While Using A Cloud Service - Douglas Computing, Inc.
Changing Password While Using A Cloud Service. Normally, a user changing his password while the application is using Dropbox as a cloud service, with data synchronization turned on, is straightforward. However things can go awry, if the user isn't careful, which could lead to data loss. To be safe, it is recommended that before the password for a user is changed under the above circumstances, data for the application is backed up. See the section Backing Up Data, here, for how you can go about doing so. If the user whose password is about to be changed, is logged into several instances of the DC Password And Encrypted Data Manager on several PCs, have him log out of all instances of the application, but the one he will be using to change his password. After he has changed his password, he can should wait about 10 minutes, before logging on to other instances of the application on other PCs.